Toby has shut himself off from the world. Since the accident that killed his mother he has spent every waking moment simply waiting until he can return to bed, and sleep. But one night he is woken by an immense, yowling tabby cat that tears his room apart, searching for its missing ‘mousey’. And Toby knows from that moment that life is only going to get stranger. Rumor has it that I’m biased when it comes to cat-related characters, plots, scenes. Rumor has it right. I’m a cat-nut from the bottom of my heart. The blurb of this little jewel seemed very promising, it promised to deliver a fun somehow cat-related story; that’s what I was looking for when I started my read. The journey turned out to be a lot more then what I’d initially expected. First rows in, I was in love. Utterly, completely in love; the writing is so beautiful I just couldn’t get over it. Compelling, engaging, and almost unbearably touching, this is a story that will surely stay with you, a long long time after you’ve read it. It’s the kind of story you’ll want to go back to, and read again, and again, even though you’ll know it will make you cry here and there. Well, at least that’s the case for me. Toby was the subject of my undivided attention from the first moment I was introduced to him. I just kept wishing and almost trying to somehow reach inside the story and hug him, just hug him, do something about his sad little great heart. I loved Peter, and his kind heart, and his seemingly endless pool of good intentions. Seb and Carrie were ok, but I didn’t really focus on them much, I was just too tuned into everything concerning Toby; I did end up liking Seb a lot more somewhere down the middle, and when you’ll read the novel, I’m sure you’ll see why. One character that did get a lot of my attention as well was Mitchell; I was ready to pounce and knock his lights out, every single time he made an appearance. I despise bullies from the bottom of my heart, and when given the chance, I love to make it obvious to everyone around them just how lame they are. But him, him I wanted to punch right in the nose! Which of course means he was very well written, almost as well written as Toby. 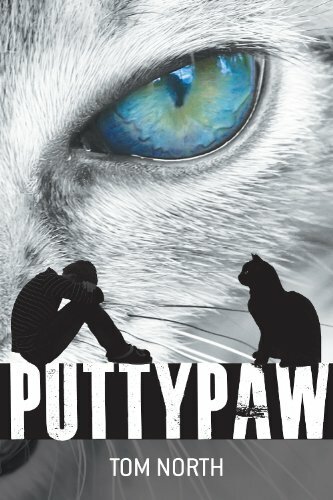 The cat-characters were something out of this world, in more ways then one; the segments where they make their appearance are of an otherworldly beauty, both in content and in writing – the creme of the novel, if you want to know what I think. The plot itself is a gem; it’s very well put together, finely fused into one. There were moments that saddened me more then I would have liked, especially because of my love for cats, and for children alike. Toby’s life is anything but fair. His loss is great, and his sorrow is overwhelming in places. But the whole story turns into the support system he so desperately needs, because no matter how great the loss, how profound and shattering the sorrow, we always have to move on, to get on with our lives. It’s a lesson we both need to learn and hate to know, a part of the growing-up ‘delight’ I guess. In Toby’s case, it comes too soon, and with too much pain and intensity. But in the end, he pulls through it all, he makes a honorable, valiant exit from the murky to the bright(er) side. What happened while I was reading? Pffft, everything! I smiled, I wondered, I cried (a few times…), I actually giggled, and I loved. But more then anything, I trusted Tom North to make it a memorable novel, and he did. Why did I trust him to do it? Because you just feel it, in the deepest part of your heart; you know it when you read something, or meet someone new, or start on a new path. You feel it in the deepest part of your bones, that this, this will be great, this will be a treasure, this will be glorious. And it is. I highly recommend this to anyone that enjoys meaningful, touching novels, with real characters, that deal with real life. I recommend it to anyone that has lost someone dear, younger or not, as it has an overwhelming ability to pick at your wounds but heel them over afterwards. This is just beautiful, for the mind, for the heart.